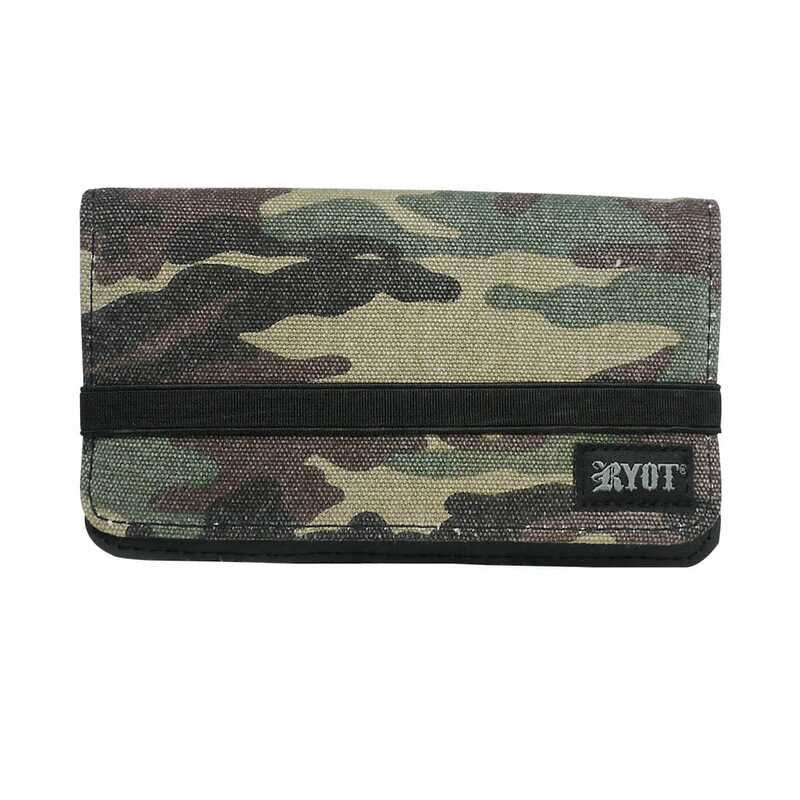 The all new Large RYOT Roller Wallet in Camo is the ultimate on the go companion for roll your own smokers. 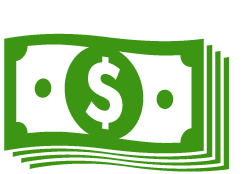 It combines large storage and a patent-pending easy load tray design that makes rolling on the go anywhere quick and easy. 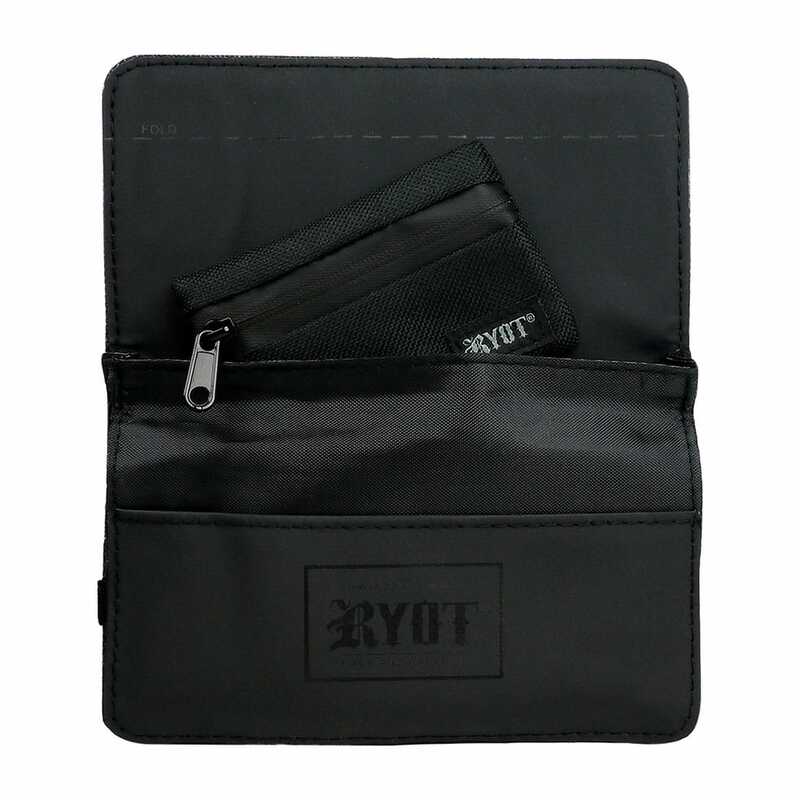 RYOT incorporates their SmellSafe Carbon technology with extensive carbon fiber padding that both neutralizes and traps odors. 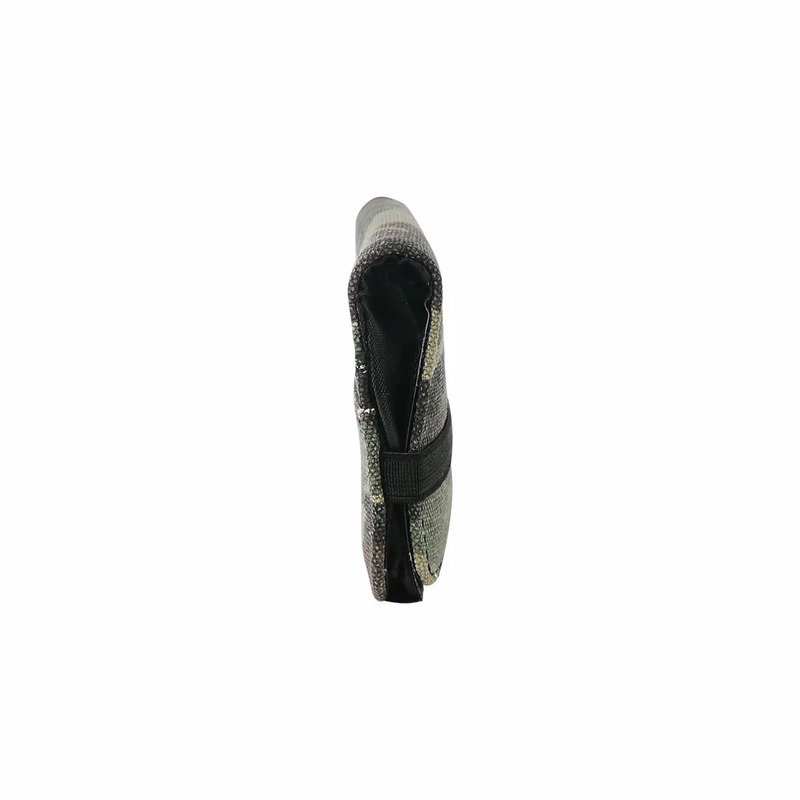 It is made from a coated weather-proof fabric that keeps your contents safe from the elements. 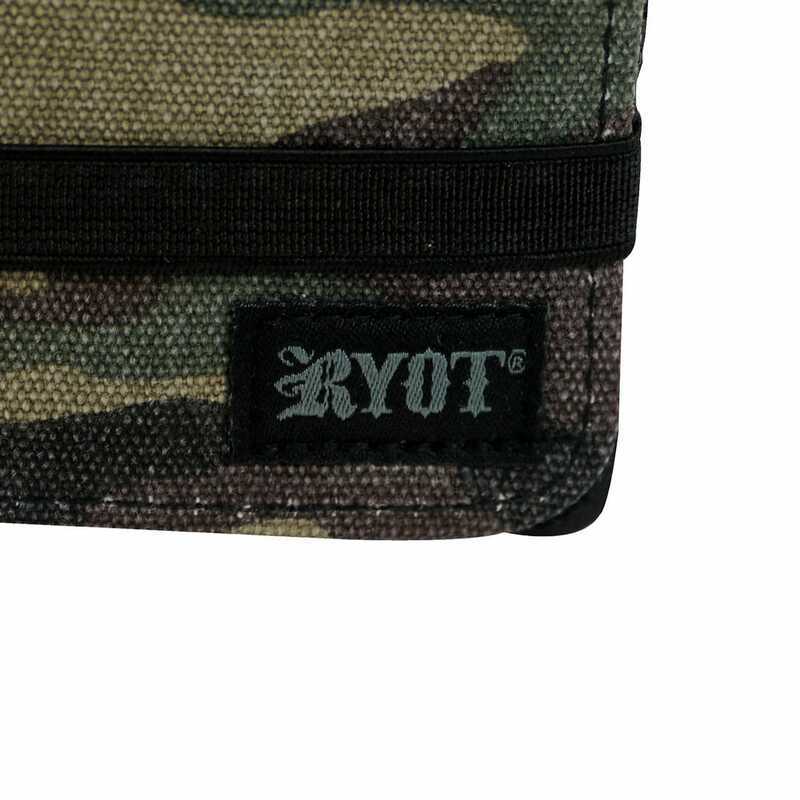 Inside every wallet there is also a RYOT fresh pod with moisture sealed zipper for storing dry material.